It sometimes seems like the England cricket team is full of South Africans. It is worth remembering that this was not always the case and indeed it was an Englishman – a Londoner – who helped put South African cricket on the map: Reggie Schwarz. As Major R.O. Schwarz MC, he also served with great skill in the Great War. Reginald Oscar Schwarz born was born in Lee in 1875 and educated at St Paul’s, where he played for the first eleven at cricket for four years. At Cambridge he continued to play cricket, but never got his ‘blue’ – although he did get one in rugby. In the years after he left university he played cricket for Oxfordshire, and then first-class for Middlesex, as well as gaining three international rugby caps for England as a half-back. At the turn of the century he moved to South Africa, where he worked on the Johannesburg railway and became a member of the stock exchange there. He also became an increasingly effective cricketer. Reggie returned to England as a member of the touring South African team; he also returned as a leading exponent of the ‘googly’, which he had learned from its inventor (Bernard Bosanquet) and passed on to his team-mates. On another tour of England in 1907, he took 137 wickets (in Tests and against counties and other teams) for an impressive average of 11.7 runs conceded per wicket taken. In 1908 he was Wisden’s cricketer of the year. He retired from cricket before the war and returned to the London Stock Exchange. At the start of the war, he was appointed as a staff officer in the South African army and served in German South-West Africa before arriving on the Western Front in March 1916 as Deputy Assistant Quartermaster General (DAQMG) for the 47th(London) Division. He served with the division for a year and was awarded the Military Cross for his good work. 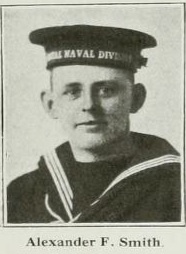 He then served in a number of posts commanding labour companies and, suffering from poor health, was transferred to the salvage corps in early 1918. Just days after the Armistice was signed, he died on 18 November 1918 at Etaples in France. By all accounts, Reggie Schwarz was a cheerful and popular man, an impressive cricketer (for his bowling at least) and an efficient officer. Women were restricted from serving on the front line – even as medics – but some still performed great acts of bravery. Sadie Bonnell and her comrades did just that in May 1918, rescuing the wounded amid the danger and confusion of a burning ammunition dump. Sara Bonnell – known as ‘Sadie’ – was born in January 1888, daughter of American dental surgeon Bentley Jay Bonnell and his English wife Harriet. The family lived in Kensington and young Sara was educated at Bedales. Sadie learned to drive in 1915 in the hope of being of service during the Zeppelin raids on London that began that year. She was told that this was not something a woman should be doing. From June 1917 she managed to get a role as a driver for the Canadian Army Service Corps, driving an ambulance car in London. 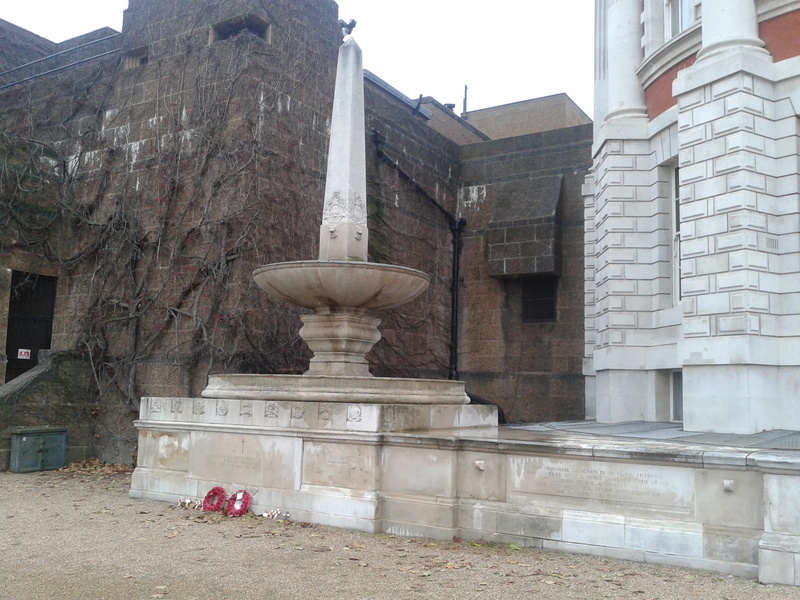 By the end of the year, she had joined the the First Aid Nursing Yeomanry (FANY) and was out at the front and driving field kitchens, mobile baths for troops, and supply lorries. This soon developed into an ambulance-driving role. 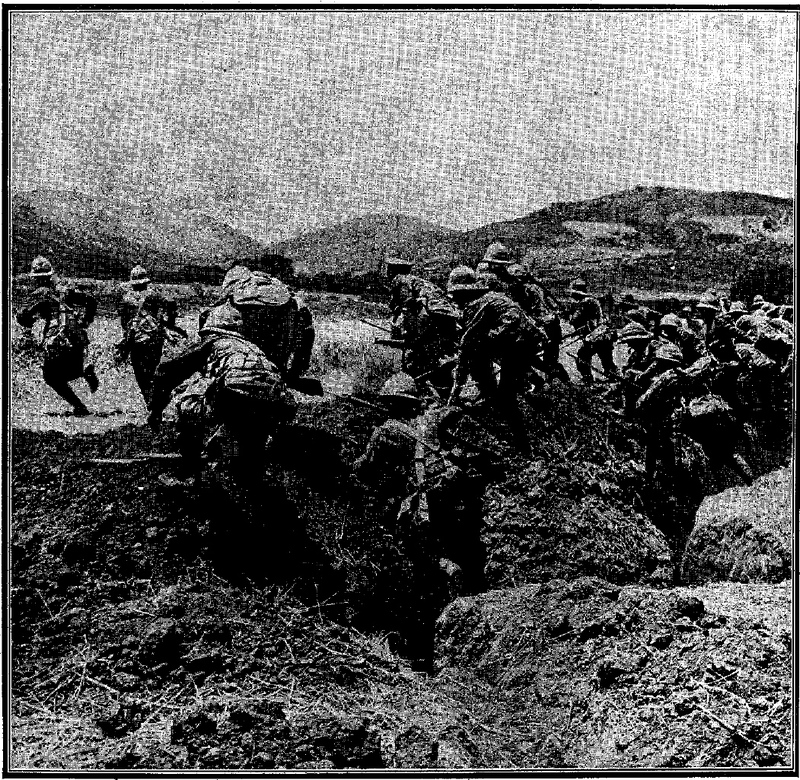 This was a difficult job, driving a vehicle with little suspension and unreliable engines over bumpy roads, often carrying severely wounded men whose moans could be heard by the driver. despite the danger arising from various explosions, succeeded in removing all the wounded. Their conduct throughout was splendid. Great credit is due to the FANY Convoy for it was their night on duty and these girls worked continually bringing in the wounded and dead from whatever place they were instructed to go. 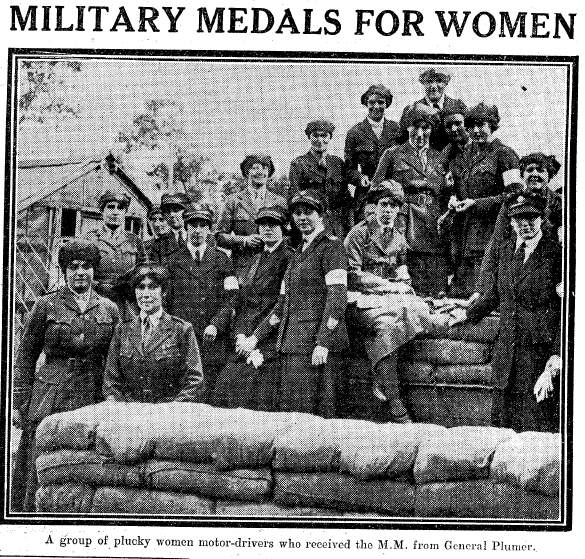 She and the other heroines of the incident (Evelyn Gordon-Brown, Aileen Maude Faulkner,Evelyn Faulder, and Nellie Dewhurst) were awarded their Military Medals by General Plumer, along with other female motor-drivers. 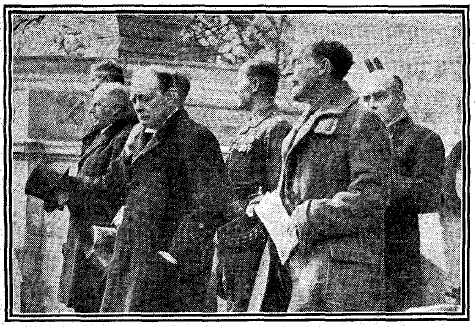 Bonnell was then given he actual medal by the King at Buckingham Palace in 1919. 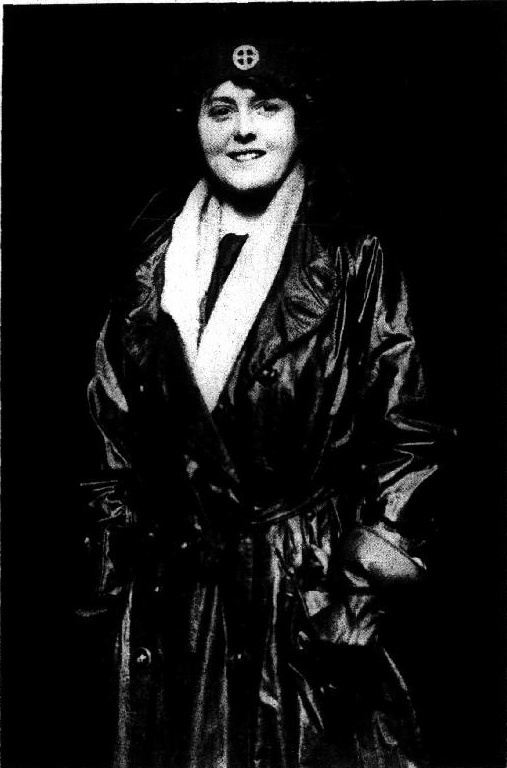 In 1919, Sadie Bommell returned to the UK and married Major Herbert Marriott, a Railway Transport Officer who had been gassed during the war and awarded the OBE. 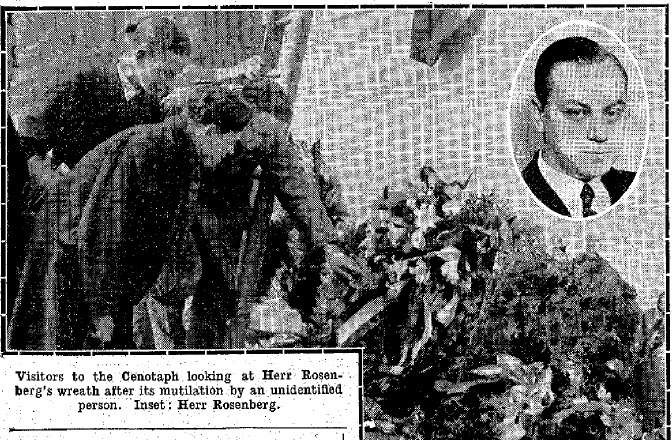 Sadly, he died – possibly weakened by his war wounds – in the influenza epidemic in 1921. She remarried in 1948, to Charles Leslie Talbot. Talbot died in 1967 but Sadie lived to be a centenarian and died in 1993. Today is Thanksgiving Day in the United States. 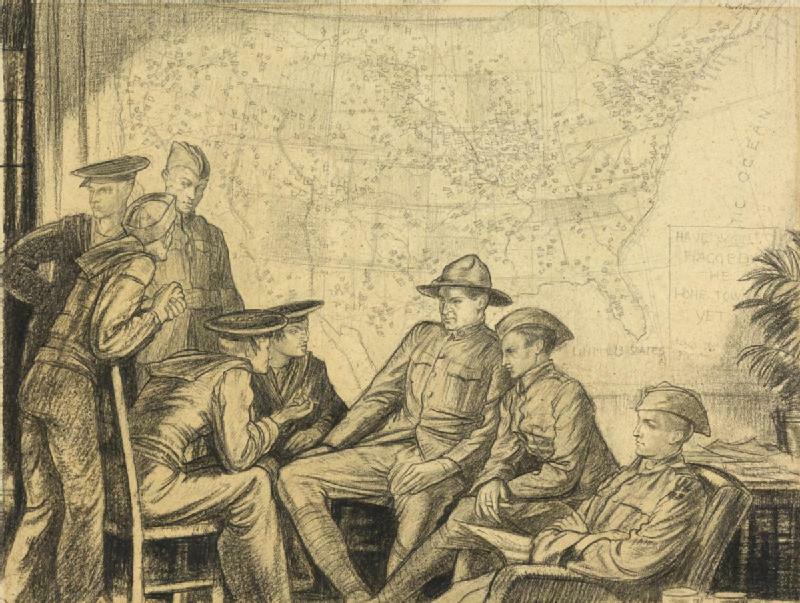 One thing that US troops – like their British comrades – could be thankful for in the Great War was the Young Men’s Christian Association, the YMCA. 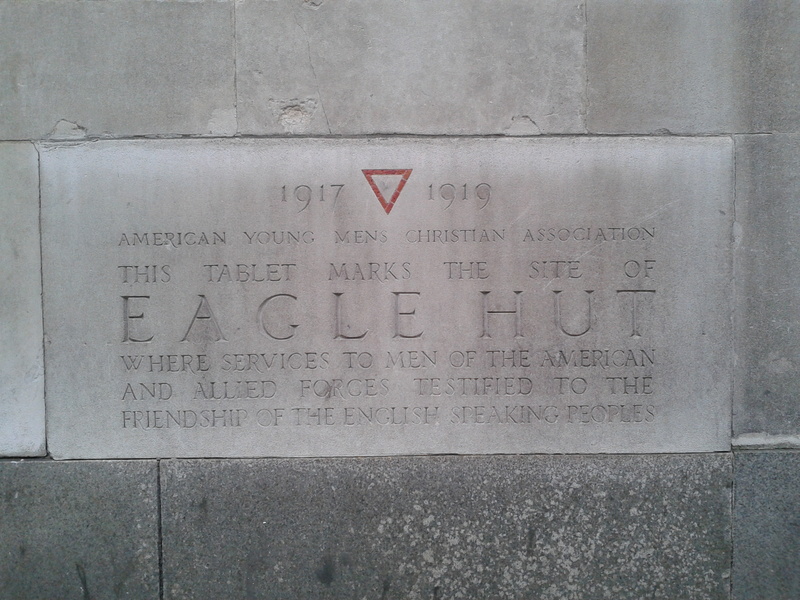 The presence of American servicemen and their YMCA in London is marked by a plaque on Aldwych – the site of the ‘Eagle Hut’. The YMCA supplied British servicemen away from home in the UK and overseas with a place to eat, drink, relax, and write letters home. As American troops arrived in large numbers, the organisation committed to supplying a home from home for them in England’s capital. 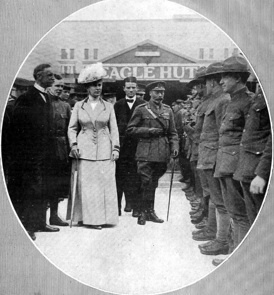 Operating from mid-August 1917, the YMCA’s Eagle Hut was officially opened on 3 September by US ambassador W.H. Page (as seen in this Pathe film).The Eagle Hut was established by four American businessmen based in London: E.C. Carter, Robert Grant, Grant Forbes and Francis E Powell. 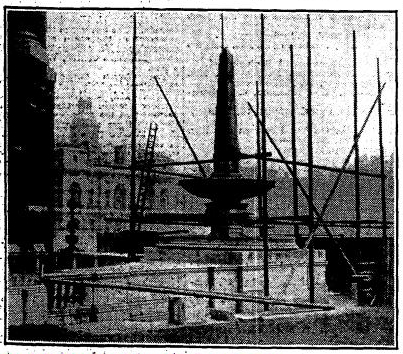 It stood at the point where the Indian High Commission and some of Bush House now stand, slightly west of the bottom of Kingsway on the north side of Aldwych. The hut served around two million meals in the two years it operated – from August 1917 to August 1919. It was said to serve 3,000 per day, 4-5,000 on busy days. American pancakes were the most popular items offered, with 1,000 sold every day, as well as 13-15,000 ice creams per week during the summer. That day, the King and Queen also paid a visit. 7,662 meals were sold – while the King tried out one of those American pancakes. As well as sports, food, and accomodation, the Hut also provided information for the troops. The YMCA also organised theatre trips and sight-seeing trips for them, to places like Kew, Windsor, St Paul’s, the Tower of London and the Old Cheshire Cheese pub. In August 1919, the hut finally closed its doors. A dance was held to mark the occasion. A decade later, the then US amassador, A.B. Houghton, unveiled a plaque to be placed in the wall of the buildings on the site of the Eagle Hut, paid for by the ‘Eagle Hutters’, a group of American businessmen who had volunteered at the Hut during the war. Photos of the hut: here, here and here; and two here. Heroes come in a variety of forms. People may be recognised and honoured as heroic in one aspect of their lives but condemned by contemporaries for their actions in others. One such man was an RFC officer, C.R.L. 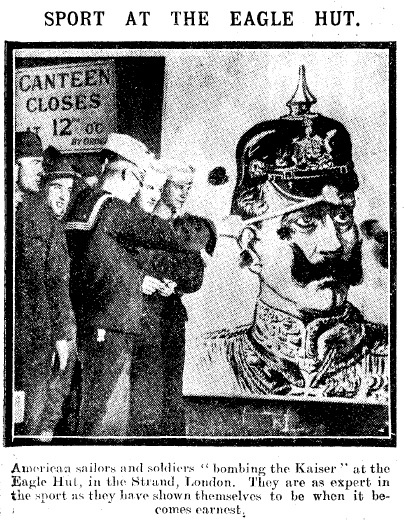 Falcy, who was cashiered in 1916 but bounced back to become a decorated war hero. Cecil Roy Leonard Falcy (known as Roy) was born in Thanet, Kent, in 1893; he the eldest son of naturalised Swiss-born auditor Gustave Leon Falcy and his English wife Elizabeth. By 1911, he was working as a banker’s clerk in London, living in a large boarding house at 34-38 Cartwright Gardens near Euston. Falcy had volunteered for the Territorial Force before the war, gaining a commission in a Territorial battalion of the Berkshire Regiment. 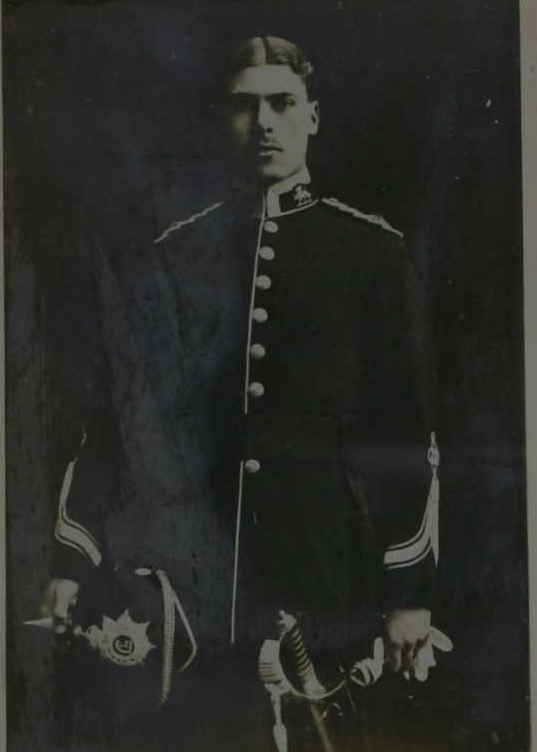 In 1915, Gustave died, but his eldest son married (to Eleanor Ryan in Epping) and advanced in his army career. His medal entitlement shows that he served in France in 1915, but later in the year he transferred to the Royal Flying Corps. Falcy qualified as a pilot in October, and was posted to No 5 Reserve Aero Squadron. 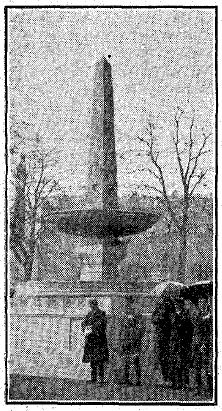 In the new year, 1916, though, Falcy’s promising army career collapsed when he faced a court martial, accused of committing ‘gross indecency’ with other men in London in December 1915. Interestingly, he was then cashiered for the lesser offence of ‘indecency’, presumably because the court lacked confidence in the allegations but felt that there must have been some ‘wrongdoing’. Morris Rothfarb, aged 16, a waiter of Russian nationality, was remanded at Marlborough-street Police Court on Saturday on a charge of demanding money with menaces of Lieutenant C.R.L. Falcy, Royal Flying Corps. Precisely what happened is not clear, but perhaps Rothfarb knew that Falcy was an officer and threatened him with an accusation that would cause his dismissal as a British Army Officer. 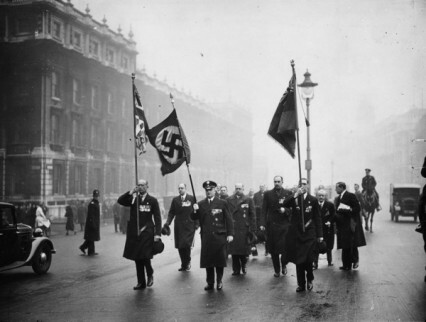 With male homosexuality illegal in the UK until the 1960s (and in the armed forces until 2000), blackmail accusing men of homosexuality was a particular avenue used by extortionists. According to Angus McLaren, in Sexual Blackmail: a Modern History (Harvard University Press 2002), most blackmail victims simply paid up in this situation. Homosexual blackmailers frequently operated in gangs, which made it difficult and risky to challenge their accusations. However, it seems that Falcy did exactly that by reporting Rothfarb immediately to the police. 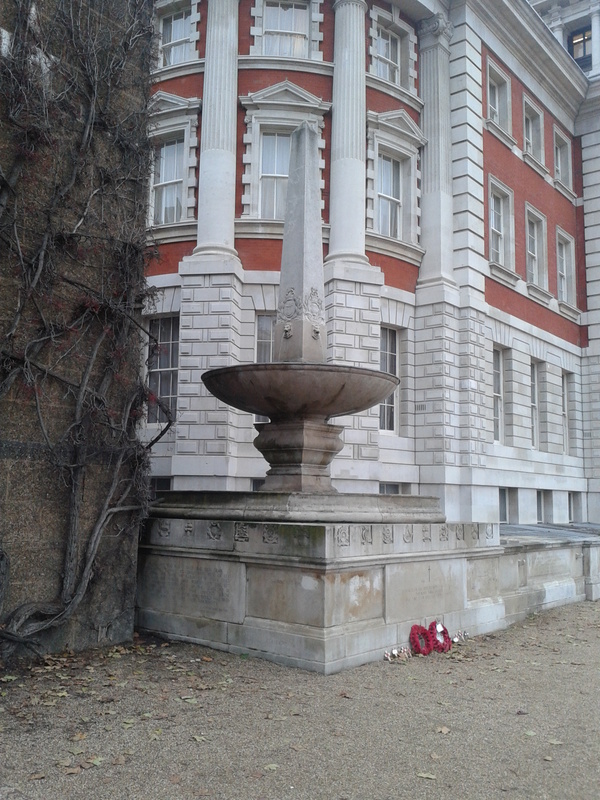 While the London police tended to give credence to men who challenged blackmailers and claimed innocence, almost 90% of courts martial during the Great War returned guilty verdicts (Gordon Corrigan, Mud, Blood & Poppycock, 2002, page 225). We cannot now know the details of what occurred in London that December, but the result was that Falcy was cashiered and stripped of his officer status on 14 March. This is far from being the end of Roy Falcy’s story, though. After his conviction and ejection from the officer corps, he was able to rejoin the RFC in the ranks in January 1917. He became 54267 Serjeant C.R.L. Falcy. Falcy’s medal index card, showing his reduction from officer to sergeant. In his new ‘other ranks’ guise, Falcy became a fully-fledged war hero. After training as a military pilot early in 1917, he joined 22 Squadron. He arrived with the Squadron in France on 10 May and served at the front until September as a reconnaissance pilot, primarily flying an FE2b with the serial number A848. One aspect of these missions that Falcy’s log books do not record is the frequent presence of Jimmie, a devoted mongrel puppy that he often smuggled on board inside his flying jacket. 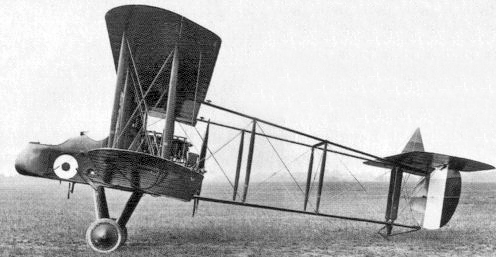 FE2b, the type of aircraft flown by Falcy on operations in 1917 and 1918. The gunner sat in the front cockpit, with one machine-gun firing forward and able to swing round to fire to the sides, and another gun to fire back over the pilot’s head. One particular mission stands out in this period. 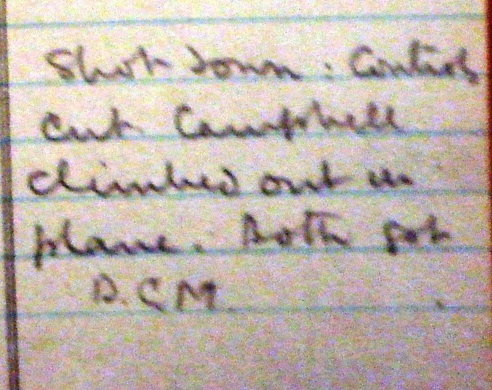 Following a preliminary photographic mission on 12 June 1917, Falcy and his observer Roy Oswald Campbell, set out on 16 June in FE2b number A848 on what his log-book refers to as a ‘special mission’. The exact purpose of it is not clear, but it was a photographic mission aimed at countering German Kite Balloons. These were gas-filled balloons used to direct artillery fire, a vital and deadly role in the war on the Western Front where vantage points over enemy positions on the ground were few and hotly contested. They were extremely dangerous to attack, being heavily defended by aircraft and anti-aircraft guns. For conspicuous gallantry and devotion to duty. Whilst acting as pilot to another N.C.O. he and his comrade performed a most daring a successful photographic reconnaissance in order to confirm information previously gained as to the working of hostile kite balloons. During operations they were heavily fired upon, and their machine completely out of control, but thanks to their great coolness and presence of mind and to a feat of great daring performed by his comrade in order to right the machine Sjt. Falcy regained control and brought the machine back in safety to our lines. In 1918, Falcy served in No 38 Squadron, still flying the rather out-dated FE2b bombers, this time on night raids from their base in Dunkirk. He served with the squadron throughout its active service from May 1918 to the end of the war. Falcy’s log-book shows 24 successful missions and two unsuccessful between June and October. On the last date in that log-book he wrote “Hit in head on first show”, but still managed to fly in a second mission that night! He was mentioned in despatches for his good work on 1 January 1919 and in October that year was awarded the French Medaille Militaire. By the end of 1919, Falcy was a twice-decorated hero of the Royal Air Force, quite a turn-around after his disgrace four years earlier. 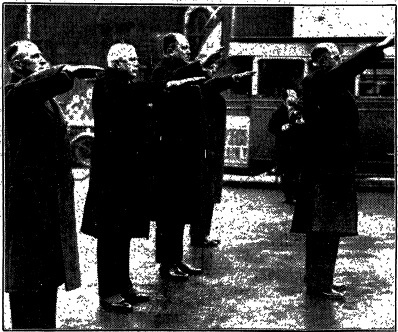 Campbell also went on to be honoured by a foreign power. As a 27-year-old ‘machinist and traveller’ with previous military experience, he had enlisted in September 1914 in his native Canada. After serving in the artillery, he joined the RFC. In 1917 he was also awarded the Belgian Ordre de la Couronne and in early 1918 he was commissioned as a Second Lieutenant in the RFC. On 27 September 1918, though, he was killed in action – after four years and two days of military service and less than two months before the Armistice. He was posthumously awarded the Belgian Croix de Guerre and lies buried in the Harlebeke New British Cemetery in Flanders. Falcy’s brother Humphrey Ned Falcy, an officer in the Tyneside Scottish (the 23rd Northumberland Fusiliers) was also honoured for his bravery during the war, earning a Military Cross that was gazetted in December 1916. His citation describes him leading a raid on the enemy “with great courage and skill” and then carrying a wounded man across no-man’s land when the raiding party withdrew. A month before his citation was published, H.N. 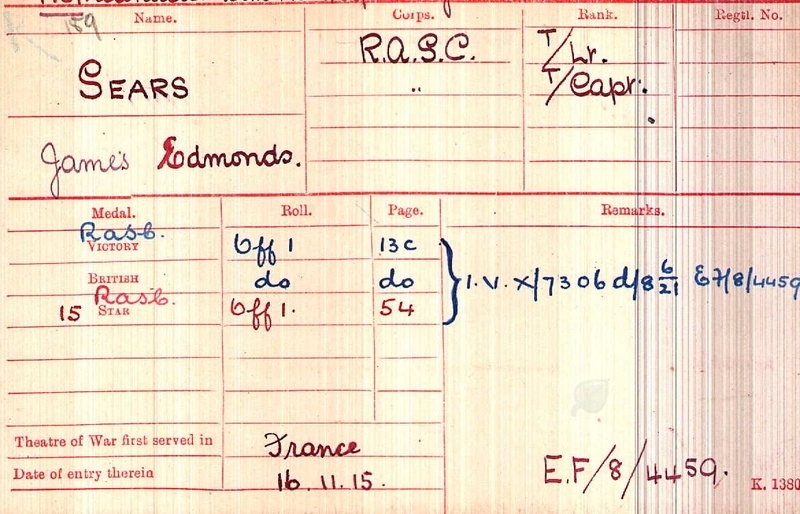 Falcy was killed in action in France. In the post-war years, Roy Falcy went on to obtain honours degrees in Law and English Literature at Queens’ College, Cambridge, where he was elected president of the college athletics club and won the prestigious Chancellor’s Gold Medal for English Verse for his poem ‘Death of Napoleon’ in 1921. After the death of his first wife, he married again and he and his wife spent much of their lives overseas. In World War II he served in the Royal Indian Navy Volunteer Reserve, thus becoming one of the few people to have served in all three branches of the armed forces, He died in 1958 at the age of 65, and his surviving children remember him as an inspirational and loving father. Note: This post was edited and re-posted on 24 September 2013 to include additional details and more information about Falcy’s life and his extraordinary flying career. I am grateful to those who supplied this information. One feature of army life has always been the change in appearance of the recruit. Apart from the obvious adoption of a uniform and often an improvement in physique, there was – of course – the matter of haircuts. 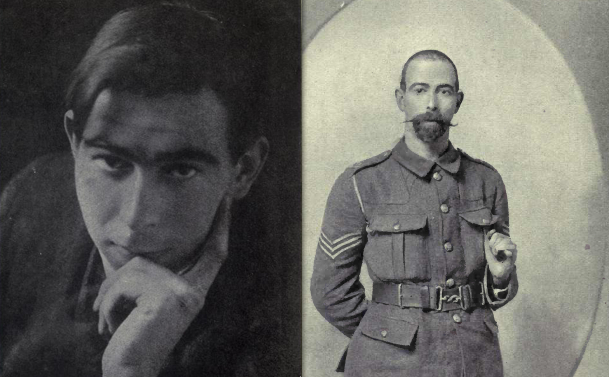 This was not only on joining the army: a severe haircut was often part of going to the front. Archibald, Evans, Hudson, Chell, Ridley. ‘C’ Company officers, 10th Essex, before embarking for active service. The officers of C Company, 10th Essex (a mixed Essex and London battaltion in its personnel) had their photo taken after getting their hair cut very short prior to going out to France. The group includes Randolph Chell, a Londoner (although Essex-born), who ended up with a DSO and an MC and co-wrote the battalion’s biography With the 10th Essex In France – a classic of the genre. On the left is James Duncan Archibald, another Londoner having grown up in Edmonton, but sadly one who died during the war – killed during the Battle of the Somme in July 1916. Len Smith and friends, before and after their haircuts. 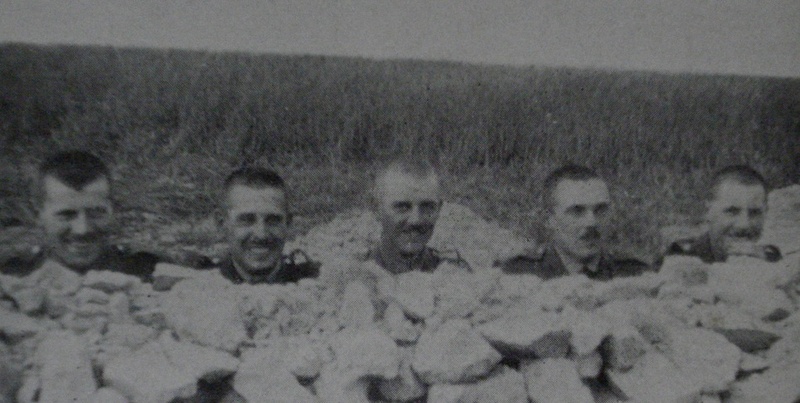 The chap with the moustache is referred to only as Tom, with the others being Jack and Len himself. I think Len is the one on the right. Another Essex-born Londoner whose appearance was changed by a wartime haircut was Frederic Hillersdon Keeling, whom we have met before. Company Sergeant-Major ‘Ben’ Keeling served with the Duke of Cornwall’s Light Infantry; he was killed in action at Delville Wood 1916 and posthumously awarded the Military Medal.